Beginning guitarists often find that the F chord is the hardest to fret because their fingers are just getting tough enough to press on the strings -- at least that was true for me. In the struggle to play a proper F, I probably played an accidental Fmaj7. To intentionally play an Fmaj7, just take the F chord, and leave the high E string open. 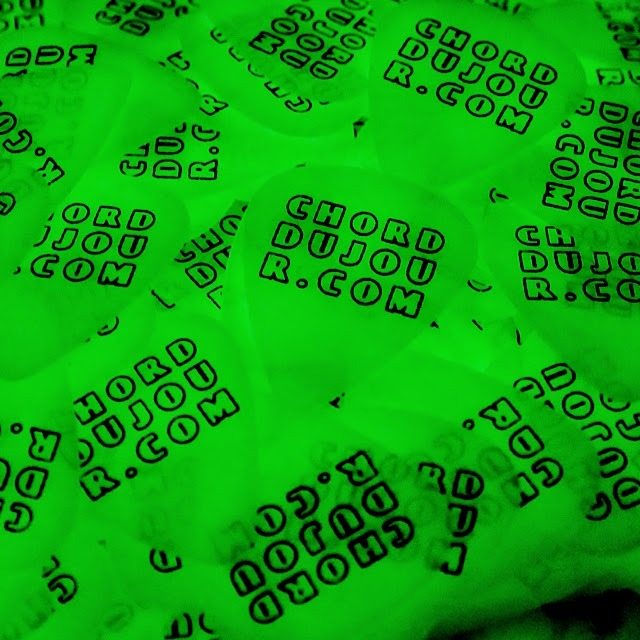 Strum the D, G, B, and high E strings. 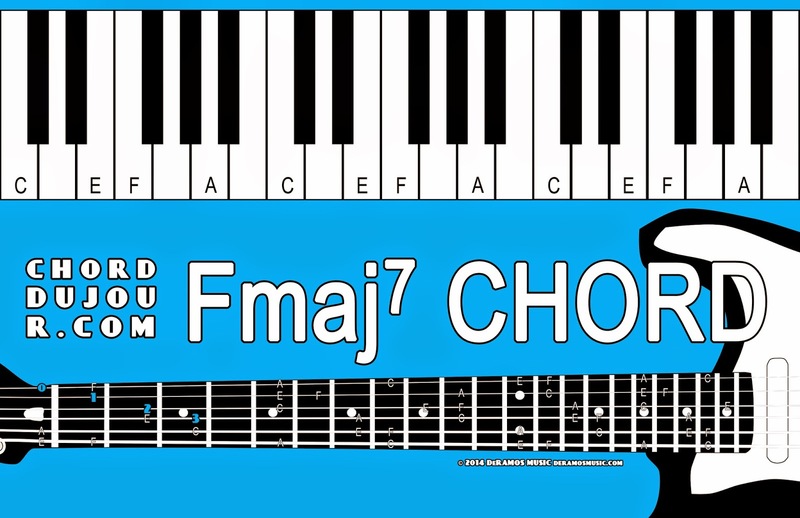 Keyboardists, any combination of F, A, C, and E notes will create the Fmaj7 chord. Be careful to keep the F and E notes about an octave or more apart; otherwise, you might have a more dissonant-sounding chord than you might want. Guitarists, there are two ways to look at this particular iteration of Am7: Take the C chord, and raise your ring finger off the A string. Or take the Am chord, and raise your ring finger off the G string. Strum the A, D, G, B, and high E strings. 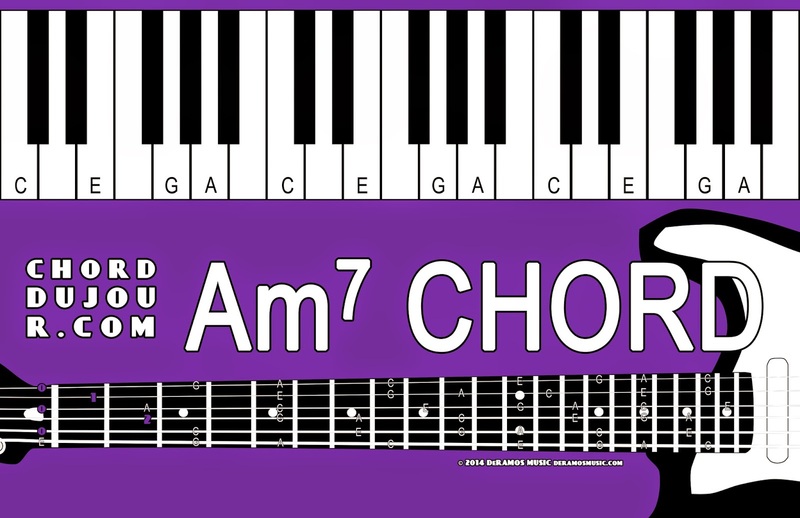 Keyboardists, any combination of A, C, E, and G notes create the Am7 chord. If you are a beginner, please keep practicing these chords, as well as previous chords. If you are more advanced, please discover new voicings. We'll have two more chords tomorrow. Cheers!